This entry was posted in Sports on February 1, 2019 . The university football team’s latest coaching post is a familiar face to local gridiron fans. 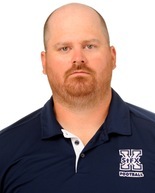 Dave Van Den Heuvel is the new offensive coordinator for The StFX X-men. Van Den Heuvel joined the X coaching staff in 2014, serving as the assistant offensive coordinator, offensive line coach, and recruiting coordinator. His other coaching credentials include working with the Football NS U18 program for four years, offensive line coach for the Canadian u19 team, and as a two time coach at the U Sports East West Bowl. Coming from Antigonish, Van Den Heuvel suited up for the Dr. JH Gillis Royals in high school before playing three seasons with Queen’s University. He thanked X head coach Gary Waterman for offering him opportunities to learn at clinics and different camps. Van Den Heuvel said X has a good group of student-athletes and he’s excited for the new role.